Awakening days later, Miranda discovers that she’s being held captive in a glittering underwater city by an arrogant young man named Marko…the King of this underwater civilisation. Meet the perfect beachside read. Then read it. And love it. Captivate is the perfect summer read. There’s love, action and of course, an underwater city. 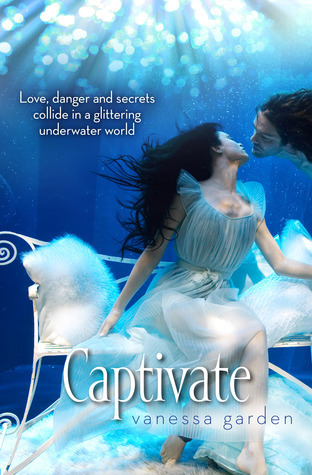 The main character of Captivate is Miranda, who is brave, smart and not your typical mermaid book candidate. I liked the way that she never forgot about her family when she was underwater and could handle herself in a dangerous situation. She setting was amazing. I was expecting a mermaid book but an underwater city did just as nicely. I thought that the concept was really unique and fairly unheard of in the book world. The cover is lovely. I was in the bookstore recently and it definitely caught my eye and reminded me I HAD to read it. I just adore those shades of blue and her dress! The writing was good, very modern. It definitely helped me to get a feel of who the characters were. I am definitely anticipating the sequel and hope it’s out in time for next summer. 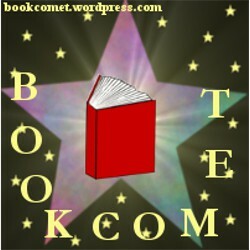 4.5/5 comets – KABOOM! That just leaves one continent (one little flaw)! 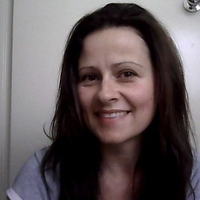 Vanessa is represented by Helen Breitwieser of Cornerstone Literary Agency. When she’s finally given the chance to join the elite demon-hunting force, Penelope thinks that will finally change. With her sister’s help, she can squeeze through the tests and get access to the information she needs to find “her” demon. To take back what was stolen. Buffy meets witch book. And does it ever make for a phenomenal read. Penelope is the spunkiest witch ever, complete with the witty come backs. My personal favourite: “I roll my eyes. ‘I’ve met myself and I’m pretty awesome’” (44%). It would be funnier if you knew what was going on. These quotes had me seriously laughing out loud and I really don’t do that much while reading. Apart from witty and quick with funny comebacks, she was brave and smart in general. She liked to solve her own problems and didn’t rely on anyone else. She wasn’t the only fantastic character though. There was Ric, Connie and, of course, Carter too! They complimented the story perfectly and each had a great relationship with Penelope – better than I could have hoped for! The writing was modern and fresh. Of course the unique spin on witches helped too. Witches fighting demons? Never heard that one before. Plus there was all this other cool stuff too like tests she had to pass, the Bonding, essence and just all this other entertaining stuff. I can’t believe what luck I’m having at the moment! 2014 so far has been like, 7/8 (I don’t know, I’m guessing) five star reviews. Thank you so much to Salt for ensuring that that continued! I have to recommend this book to you. Whether you like urban fantasy, witch books, witty characters, funny one-liners, or just those sorts of things in general, you’re going to like, if not love this book. 5/5 comets – Bye, bye Earth! Out of this world! Danielle Ellison is from a small town in West Virginia. She spent her childhood pretending to fly and talking to imaginary friends. When she grew up, she finally flew away (in an airplane) and started traveling the world. She hasn’t stopped yet, but someday she may decide to settle in one place. Her real life friends would definitely like that; they would probably also like if she stopped talking to her characters out loud. 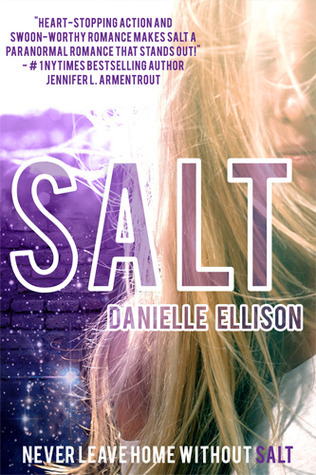 SALT comes out in January 2014, and then it’s sequel. In October 2014, FOLLOW ME THROUGH DARKNESS (book one of the BOUNDLESS Trilogy) comes out. She’s got a busy few years!